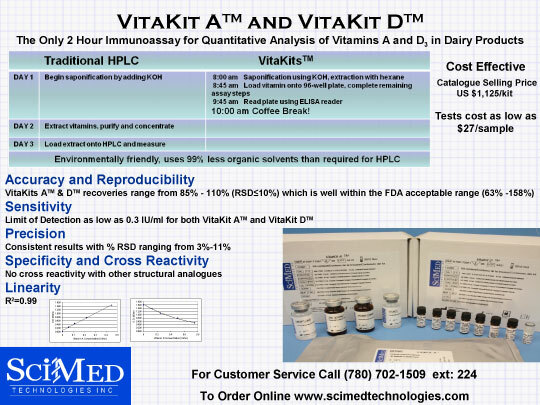 VitaKits® permit the rapid analysis of vitamins A & D in fortified products. 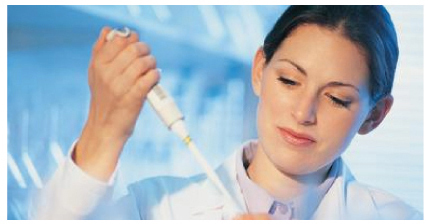 The technology utilizes proprietary monoclonal antibodies for these vitamins which were developed by SciMed. Why Use a VitaKit®? Save Time & Money! Can be used with minimal training and experience. Who Can Use a VitaKit®? Regulatory and inspection agencies to ensure end-user (customer) safety. Note: SciMed has optimized the test to fit North American fortification parameters. SciMed makes no guarantees of performance where other fortification parameters are used.